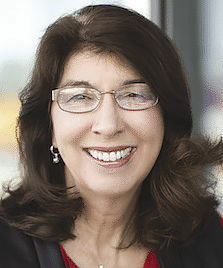 Linda Adams is co-founder of the Trispective Group. I am tormented like so many by the Feb. 14 acts of violence in Florida that took the lives of 17 innocent people. More than anything I wish I had the answer. But, if the answer were easy I have to believe we would have enacted it into legislation already and we’d be certain that never again would another child die in what should be the safety of their school. As with the topic of gun violence and any other hot button issue, in America there are no easy answers. Democracies come pre-loaded with a million challenges. The options are not always so great. Winston Churchill once famously said, “Democracy is the worst form of government except for all the others.” So our less than perfect union is what we have. And we have no choice but to work together to find the answers to what ail us. This high school shooting provides yet another backdrop to what many see as the growing polarization of our nation. You can almost identify as the news cycle churns what will end up as the current political football. These days, we have the old reliables, Russian collusion, the FBI, government shutdown, NRA, and of course anything related to Donald Trump (and that includes anything Hillary Clinton). Whatever the trigger, when it hits some particular vein in our society today, the loudest voices immediately stake out their ground, disparage and demonize not just the views of the “other” side but often their character. Then fake news stories, each with some kernel of truth, start to appear and begin to be shared. Immediately facts and the truth begin to blur at the edges and be lost. If there are no easy answers, what do we have to do? We have to go find some answers. We can only find that through dialogue, debate and compromise. For that debate and dialogue to deliver any acceptable outcomes a solid foundation of truth and fact is required. From there we can explore different perspectives and beliefs that might give rise to some response that can at least begin to address our challenges and for communities like Parkland, curb the excess of violence. However, we can’t even begin to sit with each other to begin that conversation when our paths are strewn with lies, insinuations and paper tigers. When our politicians throw rocks at each other or news anchor panels engage in hyperbolic rhetoric, I shrug my shoulders. But when that rhetoric and fake news turns towards victims I have to speak up. The demonization or belittling of the survivors of the massacre at Marjory Stoneman Douglas High School, in an attempt to silence their voice, is totally unacceptable. What agenda that furthers is a complete mystery to me. And those perpetuating this absurd offense claim the high ground of educated adults. Like school shootings, it appears we have now become inured to the acceptance of fake news in our society. As thousands of teens get ready to March For Our Lives in Washington, D.C., on Saturday and in many other cities around the country, we should lift up these young people. We should be proud that in these desperate times they have chosen to make their voices heard. We should stand beside them in advancing the conversation and while we, as adults, have yet done nothing to change the course of these attacks, let’s start today. I implore us all to stop contributing to baseless attacks on the character of these kids and stand with them to find a place where #neveragain truly means never again.